Cobra T - A show-stopping exotic wood top illuminates Cobra's fully contoured, single cut-away mahogany body while its ultra-fast Mahogany/Rosewood neck makes easy work of anything you would like to express. 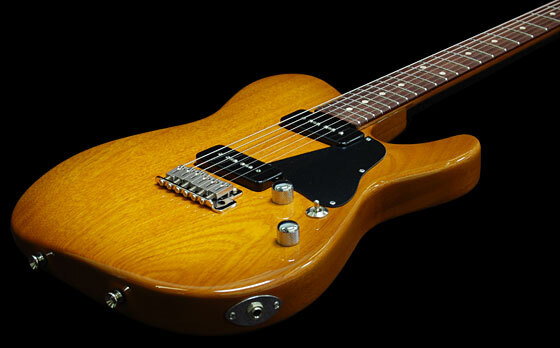 Cobra S - Cobra with double cut-away is Cobra S. Again enlivened by a gorgeous exotic wood top. For those who love the way an "S" hangs, feels and looks as you step on stage or stand in front of the bathroom mirror—both are valid. Cobra T Special - Function is king for this special cobra. An all-Mahogany body defines and delivers a crushing midrange blow as Cobra Special’s single-cut body makes an unforgettable statement in form as well as function. Cobra S Special - To take over the world with an “S” guitar in hand…Cobra S Special’s all-Mahogany body and Mahogany/Rosewood neck architecture make that concept more plausible than first may appear.